Men's Health is the UK's best-selling quality men's magazine packed with expert tips and advice on everything today's man needs to feel fitter, healthier, and happier. 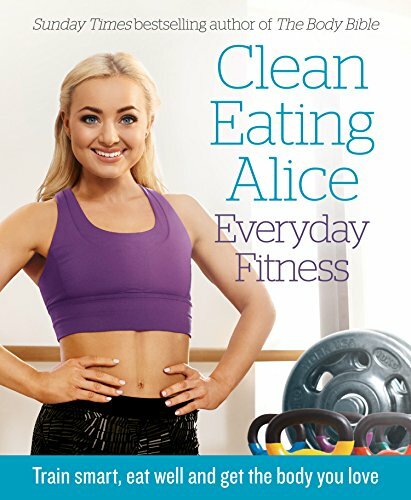 From Instagram sensation to Sunday Times bestselling author, Clean Eating Alice is the authoritative voice in diet and fitness. On her fitness journey, Alice discovered that exercise can be enjoyable and totally accessible. In Everyday Fitness, she shares her tips and expertise to get you moving and help you achieve amazing results. Whatever's motivating you to seek change, you'll be feeling proud of how you look and feel in no time. What's more, you'll soon realise that exercise can be so effortlessly included in your daily routine that it becomes second nature.